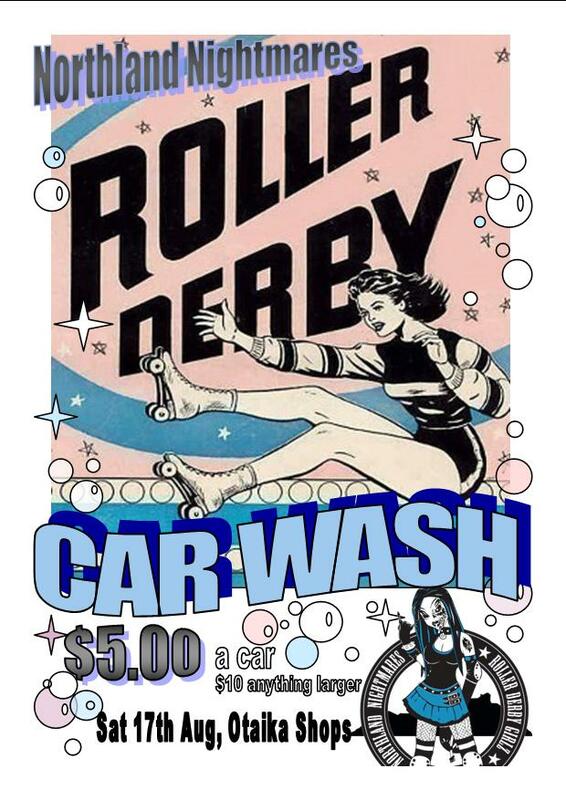 Northland Nightmares Roller Derby will be holding a car wash and sausage sizzle at the Otaika shops on Sat to raise $’s for our upcoming trip to the nationals – so if you are feeling dirty and hungry call in for the works!!! This entry was posted on August 13, 2013 by nnderby. It was filed under EVENTS! .